Are you looking for a rubbish removal service in Worcester MA area or other parts of Worcester county that offers competitive prices, a dedicated and courteous staff who are prompt and professional? Al’s Rubbish and Container Service offers plenty of solutions to help you. Our rubbish pickup service comes with same day pickup and dropoff with no dropoff or pickup fees. We will beat our competitors’ prices! A free quote is always a phone call away. Pay your Al’s Rubbish bill here. We now have 5 YARD DUMPSTERS and 8 YARD DUMPSTERS for LONG TERM RENTAL only. Rental periods of small dumpsters must exceed 6 months; dumpsters will be emptied 2, 3 or 4 times a month during rental period. No delivery charges for long term rental 3 months or more. 8 Yard Demo NOT AVAILABLE. 10 yard, 15 yard, 20 yard and 25 yard roll off containers – CHECK PRICING HERE. We offer a nice range of dumpster/container rentals to assist you with removing unsightly clutter from your home or provide temporary storage options for you while you move houses or apartments. Rental Period is 7 Days – You need to call in your dumpster when you have completed its use. Any rental over 7 Days is $10.00 Per Day. Accumulated Junk, Kids Moved Out ? Outgrown their Toys? All Our Rentals are 7 Days, do your clean out at your leisure. We do complete house clean outs from cellar to attic, yard and sheds right down to sweeping. Al’s Specializes in Foreclosures, Trash Outs, Clean Outs and Sales. We serve many Realtors in Central MA. We remove furniture and appliances either from your home or curbside. Too much for you to tackle alone? We will come out ready to do the job and give you our most competitive quote and do all the work! 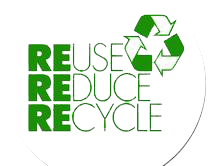 We Recycle 95% of All Salvageable Items. Al’s Rubbish Now Offers Weekly Rubbish Removal in the Towns of Sutton and Oxford.